I try not to go too crazy decorating for Valentine's Day. Instead, I just like to add a few simple touches here and there. 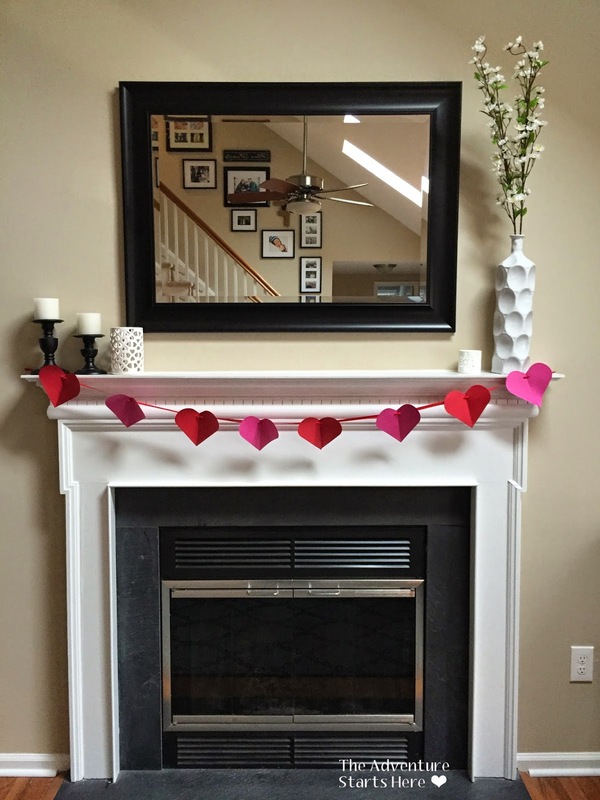 I had picked up some heart garland and a banner to hang on our mantel, but it didn't turn out the way I hoped. Instead, I hung up the paper heart garland I made last year and kept my wintery mantel as is. It's definitely not my favorite mantel, but it will do. 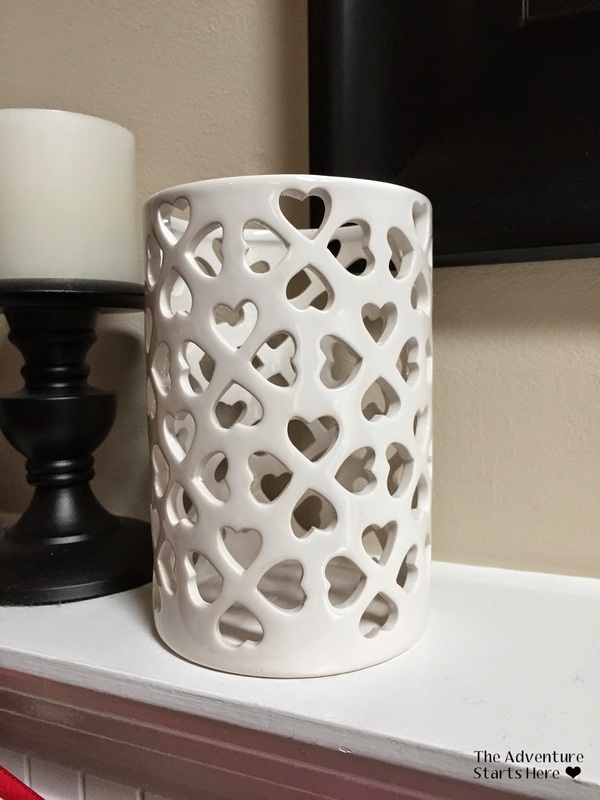 ^^^I love the little hearts on this candle holder. Is it just me or could this double for St. Patty's Day and call them four leaf clovers? 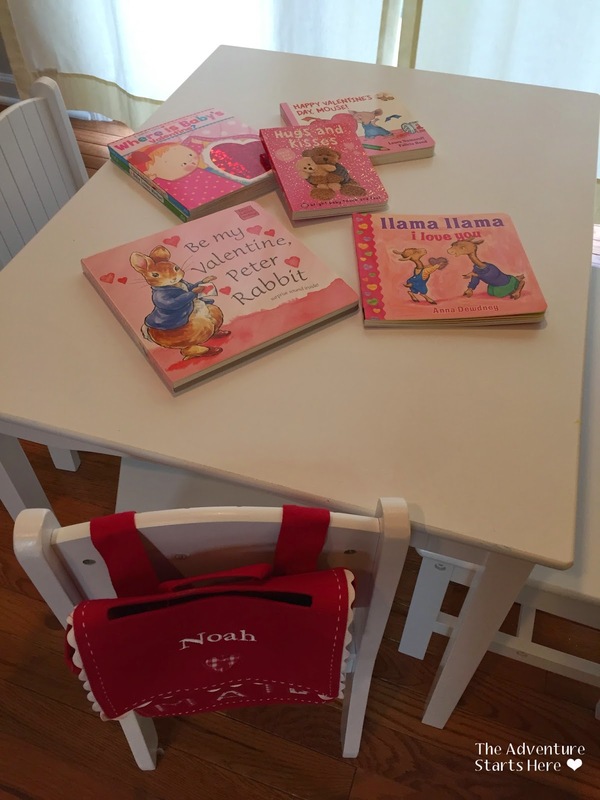 I also hung Noah's chair backer on his little chair and put his Valentine books out for us to read over the next few weeks. We are also getting festive in the kitchen. 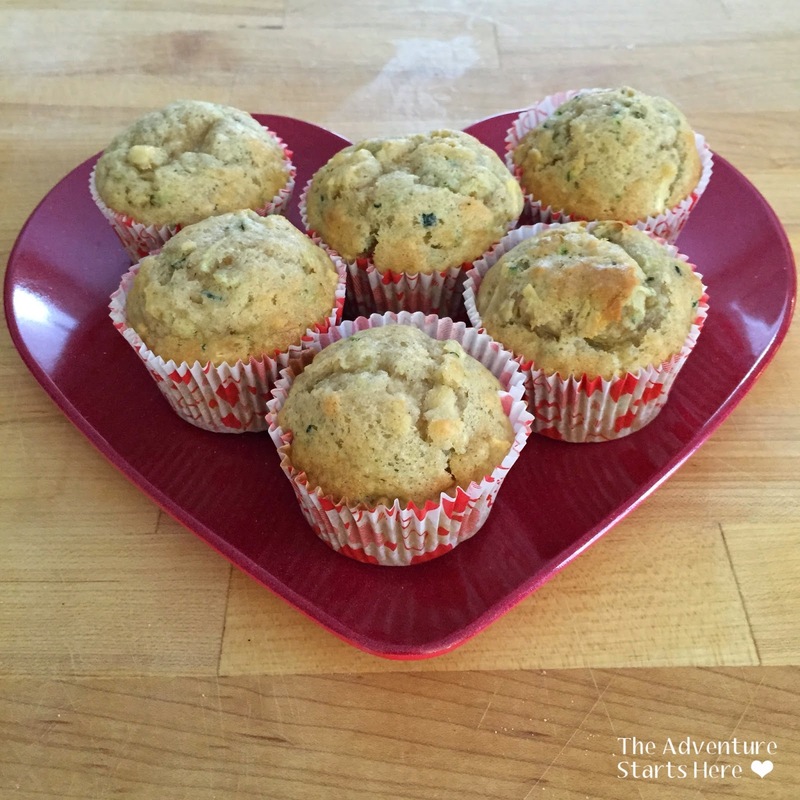 I made some of our favorite muffins using these Valentine's Day muffin liners and put them out on our heart plate. 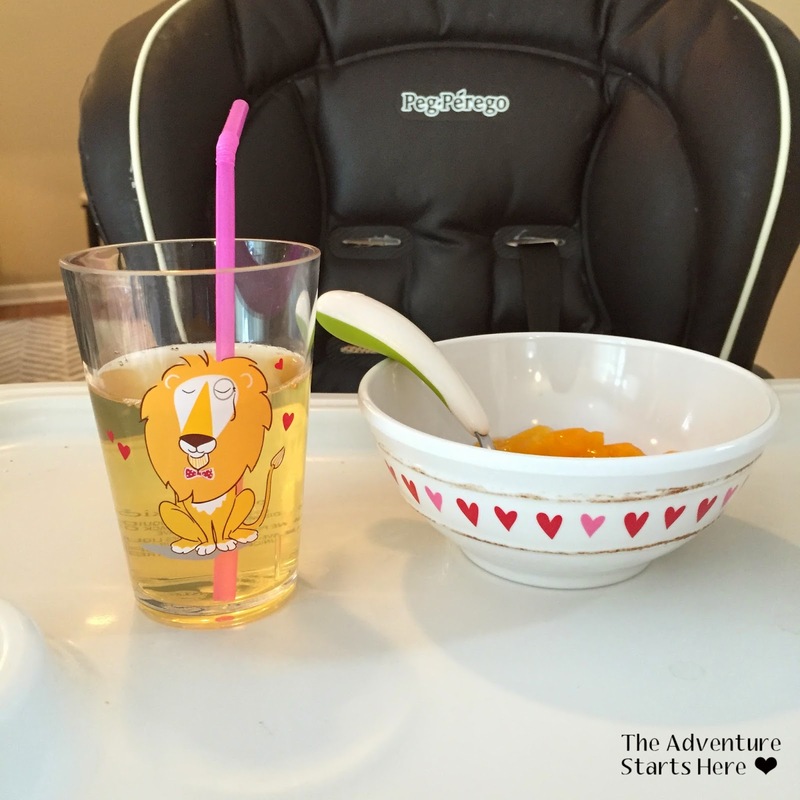 My mom got Noah a Valentine's Day cup, plate, and bowl set from Pottery Barn Kids. Noah thought it was so cool to drink out of a "big boy" cup! 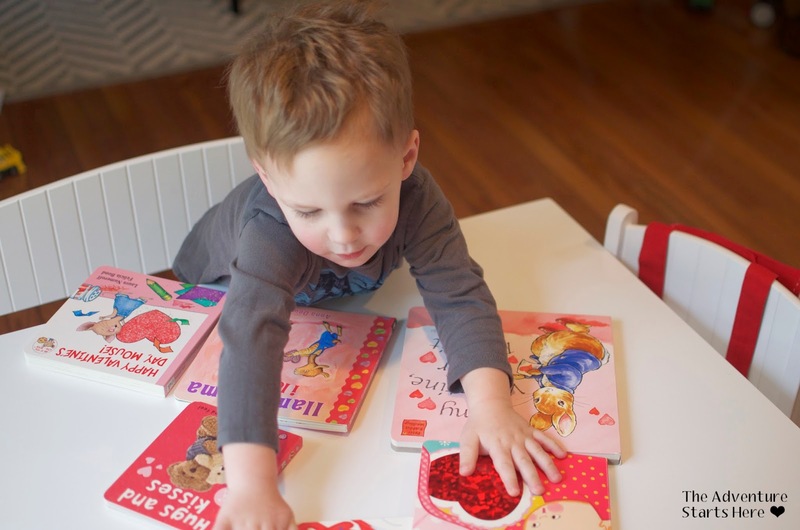 Do you decorate for Valentine's Day??? This reminds me to hunt around and put up some decor we have! Love all your festiveness!